Fraser confided that singer Brian Johnson was involved in the recording sessions that leaked to the rock media last summer. That’s when pictures surfaced of Johnson and former drummer Phil Rudd outside the Vancouver Warehouse Studios, where the band recorded their last few albums. Angus Young and nephew Stevie Young were also caught on camera near there, too, and a gym workout photo from December of Johnson and Cliff Williams at a Vancouver hotel gym also made the rounds. 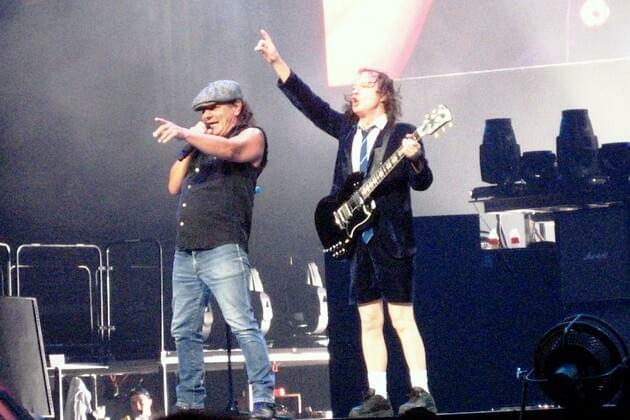 So, look for the re-formed AC/DC to put out something new, hopefully this calendar year. Why wait? They’re not getting any younger. The podcast with Fraser is shown below.